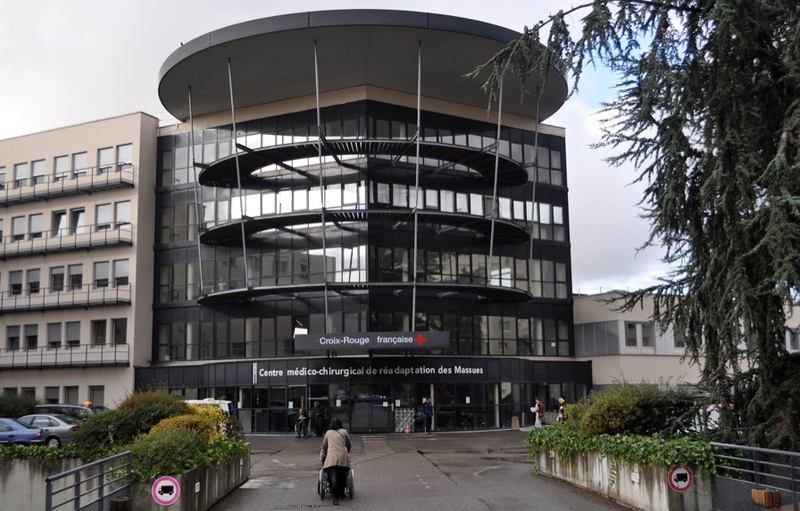 Summary: A French orthopedics and prosthetics firm chose to switch to 3D scanning for use in creating custom orthopedic braces for patients. 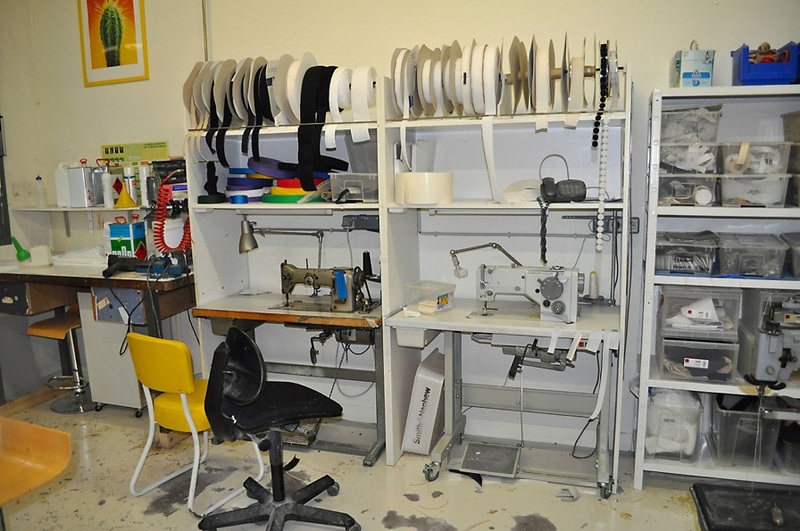 The traditional method of brace creation was messy, time-consuming, and imprecise. 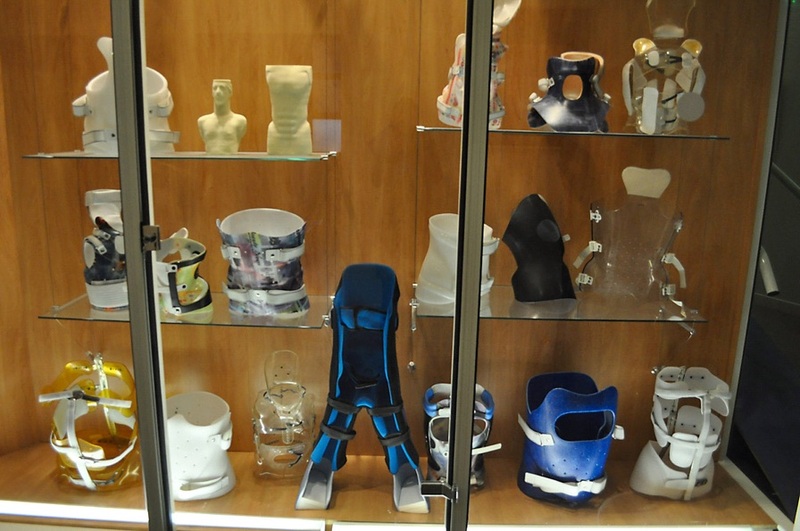 The Goal: To use portable, highly-precise 3D scanners to quickly scan patients from 360 degrees, then to use these scans to create custom braces of the highest standards. Recently, we visited one of our OEM partners in the Orthopedics & Prosthetics (O&P) field, a French company by the name of Orten. This company is one of the leaders in providing O&P services and full solutions to doctors around the world. Our goal for the visit was to better understand their work-flow process and to listen to their suggestions and ideas about how we can improve our scanners. They showed us around their facilities, explained their product line and illustrated how Artec scanners help them in their everyday work. A patient comes to the clinic and it is determined that she needs a corrective back brace. The patient is asked to stand at a special metal-bar structure, while a medical practitioner adjusts her body angles to make sure the scanner captures the needed information for the brace that is being made. Scan the patient’s torso (360 degrees). Use the L scanner for torso or full body and use the MH scanner for all other body parts. Import the finished scan into Ortenfile (a software program developed by Orten specifically for the O&P industry). Create a 3D cast which is ready to be milled in OrtenMill software. Begin milling. 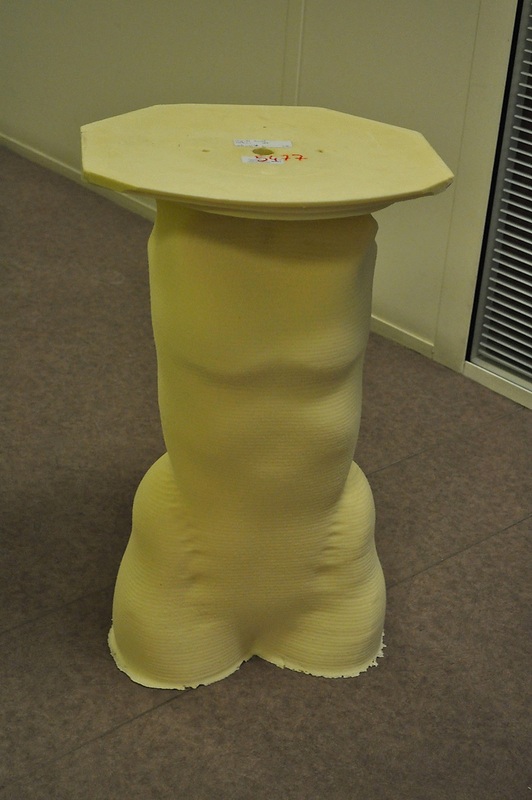 A torso cast takes 8-10 minutes to mill. 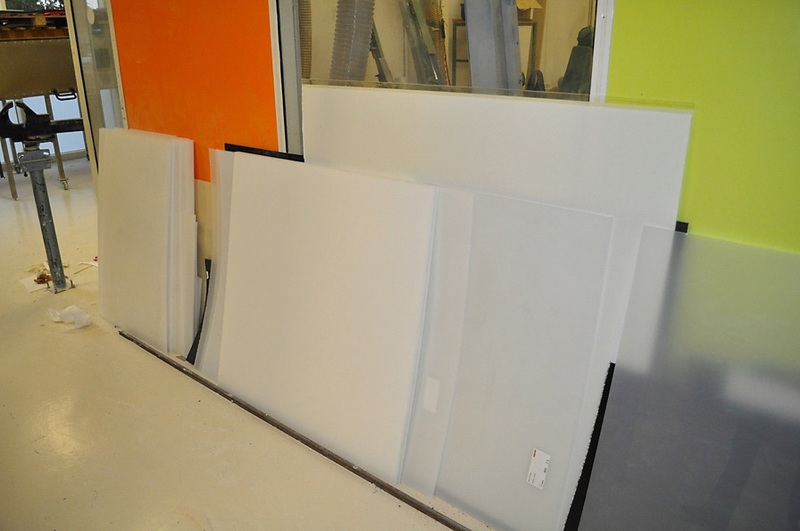 Take a sheet of plastic and place it in the oven for a few minutes. Take out the soft plastic and wrap it around the torso mold. Fine-tune the brace in the “design” studio. After getting the tour, we still had a lot of questions, so we set down with our gracious hosts to talk more about their patients, their industry and the challenges they face. Our friends at Orten told us that there are rare occasions when scanning a person is difficult. For example, when a patient is bed-ridden but needs a full body scan. In those cases, they use a special vacuum mattress. The patient is laid on the mattress and the air is sucked out from it. This leaves the mattress in the shape of the patient’s back. They scan the “front” of the patient, take him off the mattress and scan the imprint of the mattress. Then, they combine the two scans together. This is a cumbersome process, but there is little alternative. 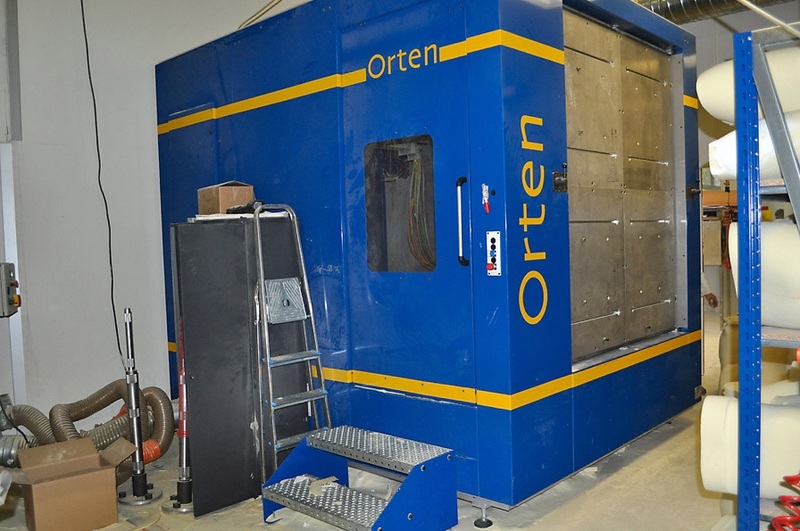 Orten also produced its own full body scanner. This equipment is expensive (€60000) but is appropriate in certain cases. 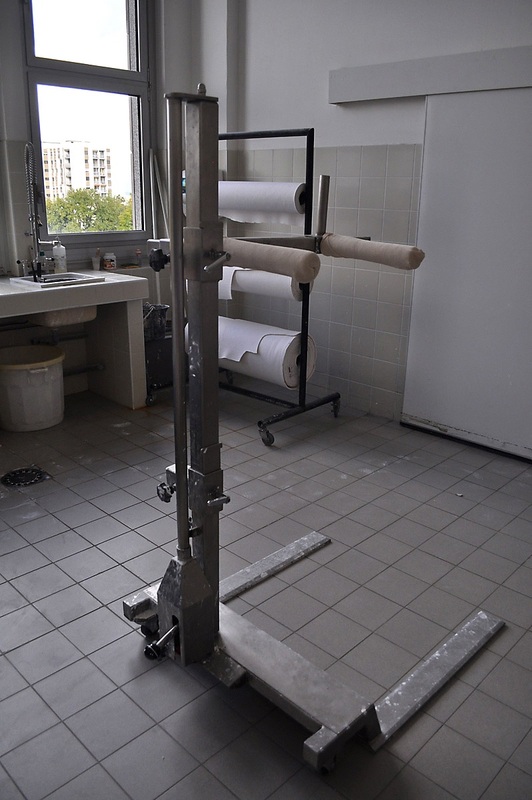 The drawback of using their own full body scanner is that the person has to be able to stand without moving and that corrective metal bars they showed us in the beginning of our tour give off a shadow which falls on the patient’s body, thus, distorting the scan. Moreover, this booth is large and immobile, so patients could not be scanned in their hospital room and clinics would need to allocate a whole room to accommodate this equipment. We were impressed at how technologically advanced Orten was and how open-minded they were toward new technologies. 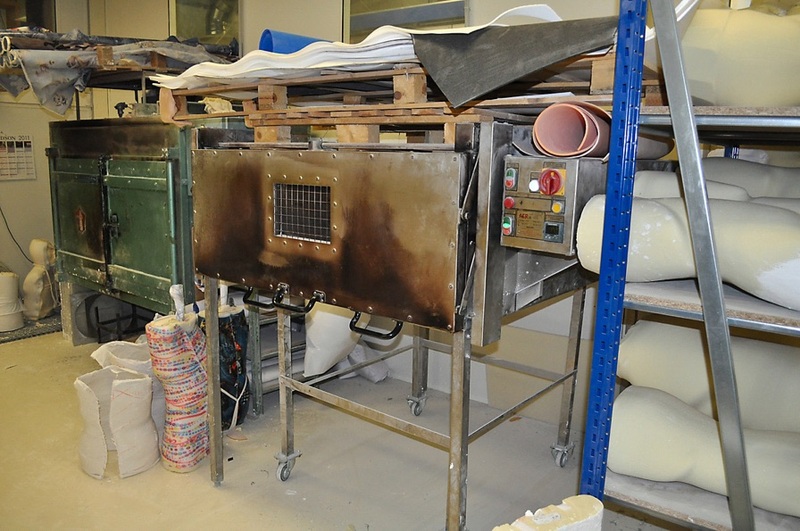 We asked them about how things were done in the past, and why they chose to integrate Artec scanners into their daily work. Previously, when an orthopedic doctor needed a custom brace for a patient, he and his staff would have to do a lot of work and spend a lot of time and money. The old process would also significantly inconvenience the patient. The patient would be covered in plaster and sit there, waiting for the cast to freeze. It would then be cut off the patient and the result would be sent via regular mail to a manufacturer of custom braces. The manufacturer would receive the cast and measure it by hand. He, then, would produce the brace and send it back to the doctor for a fitting, hoping the brace would fit the patient correctly. There were many issues with this process. The patient was very uncomfortable while the plaster was hardening. If the patient moved too much, the cast froze incorrectly. The cost of shipping the cast to the manufacturer was high and the time it took to get there, added days to the process. The plaster casts frequently broke or were deformed during shipping. Measuring “organic” shapes by hand is very difficult and results were frequently less than perfect. Often, when the doctor received the final product back in his office, it didn’t fit properly and the process had to be started from scratch. Artec scanners have many advantages over the old way of doing things and over other scanners on the market. No messy, expensive, time-consuming plaster casts. No more expensive mail service. 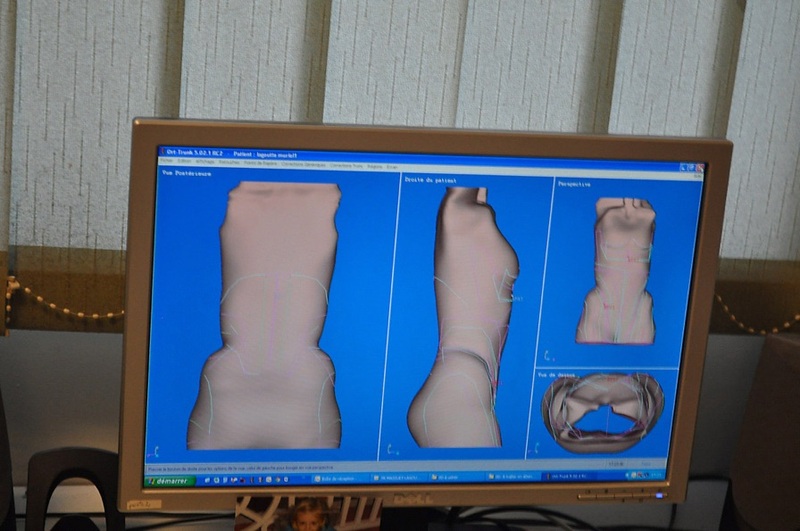 The measurements on the manufacturer side are precise because they receive an accurate 3d scan of the patient’s body. Technology is affordable. It doesn’t require markers and is not affected by metal objects in the room. The scanners are easy to use and easy to teach, so that specialized technicians are not needed on staff. A medical assistant or nurse can use the scanner. Overall, it was a great visit. We, at Artec, want to thank Orten for such a welcoming reception and promise to think about how we can implement your suggestions and make our technology even more useful for the O&P industry.